In this modern-day twist on Washington Irving's classic, ICHABOD CRANE (Tom Mison, “Salmon Fishing in the Yemen”) is resurrected and pulled two and a half centuries through time to unravel a mystery that dates all the way back to the founding fathers. Revived alongside Ichabod is the infamous Headless Horseman who is on a murderous rampage in present-day Sleepy Hollow. Ichabod quickly realizes that stopping Headless is just the beginning, as the resurrected rider is but the first of the Four Horsemen of the Apocalypse and only one of the many formidable foes that Ichabod must face to protect not only Sleepy Hollow, but the world. As Ichabod finds himself in 2013's Sleepy Hollow, he discovers a town he no longer recognizes and grapples to understand. Teaming up with Lt. ABBIE MILLS (Nicole Beharie, “42,” “The Good Wife,” “Shame”), a young cop who has her own supernatural experiences, the two embark on a mission to stop the evil that has awoken along with Ichabod and that now is seeping into this once-sleepy town. Clues from the past enlighten mysteries in the present, as each episode features a flashback to Ichabod's life in 1776. Ripe with untold stories from American history and cloaked in mythology, the divide between present and past becomes dangerously blurred. Lives are in the balance, including that of Ichabod's late wife, KATRINA (Katia Winter, “Dexter”), who is trapped in a mysterious netherworld. In his pursuit to save her, Ichabod uncovers secrets about her, leaving him with countless questions. Not everyone believes Ichabod's tales of 1776 and supernatural evils, especially the new head of Abbie's police precinct, Captain FRANK IRVING (Orlando Jones, “The Chicago 8,” “Drumline”). When faced with bizarre events he can't explain, Capt. 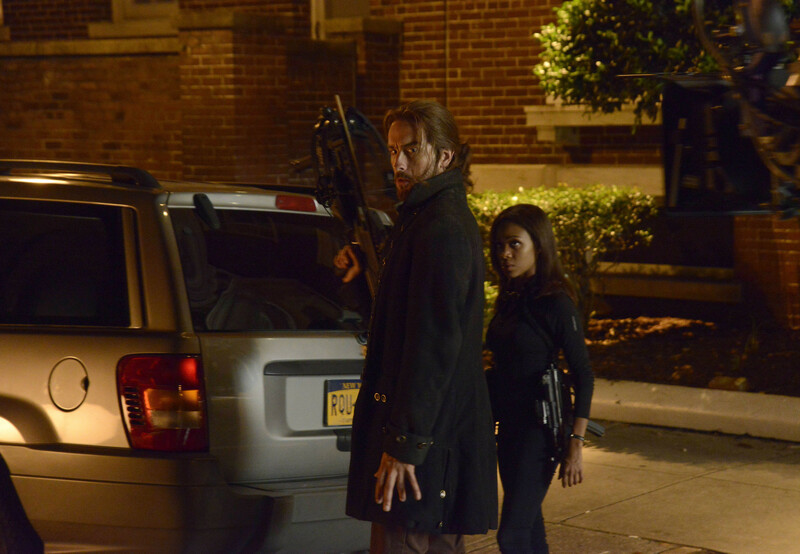 Irving reluctantly turns to Ichabod and Abbie to investigate. Ichabod's extensive first-hand knowledge of our country's hidden history, coupled with Abbie's superior profiling and modern threat assessment skills, make them a formidable duo. The complex pasts of the pair, from Ichabod's inclusion in the powerful and secretive Freemasons Society to Abbie's childhood visions, will help them solve the intricate puzzles of Sleepy Hollow in order to protect its – and the world's – future. As history repeats itself, the oddly-linked pair will draw on the real stories and secrets this nation was founded on in their quest to stop an increasingly vicious cycle of evil. Submitted by Anonymous on Mon, 09/26/2016 - 07:52.